Good morning, ladies and gentlemen. Let me also say a few words in English. Earlier, in March, Premier Li Keqiang announced that preparations were being made to launch the trial operation of Bond Connect this year. 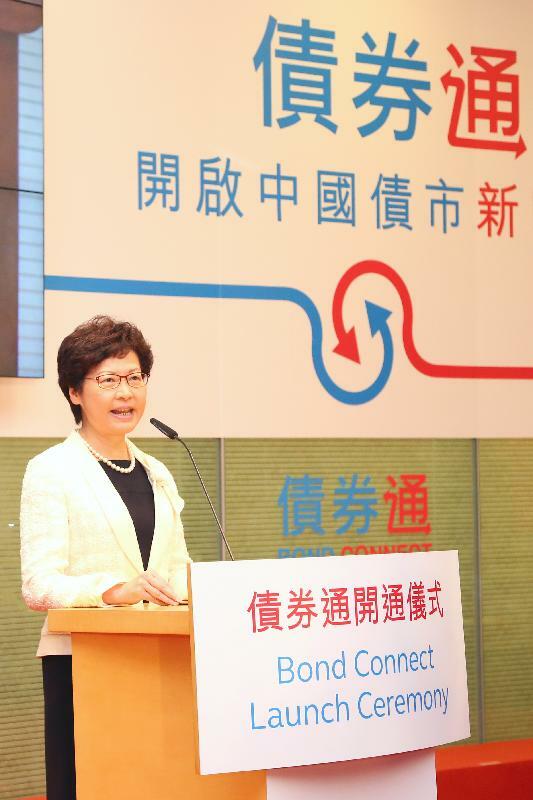 After months of detailed preparation by the Central People's Government, the Hong Kong SAR (Special Administrative Region) Government and the relevant institutions in both places, we are about to witness the launch of Bond Connect. Bond Connect marks another new chapter in the development of mutual capital markets access between the Mainland and Hong Kong. It will enable eligible overseas investors to access, for the first time, the Mainland interbank bond market through infrastructural connection established between the Mainland and overseas bond markets. 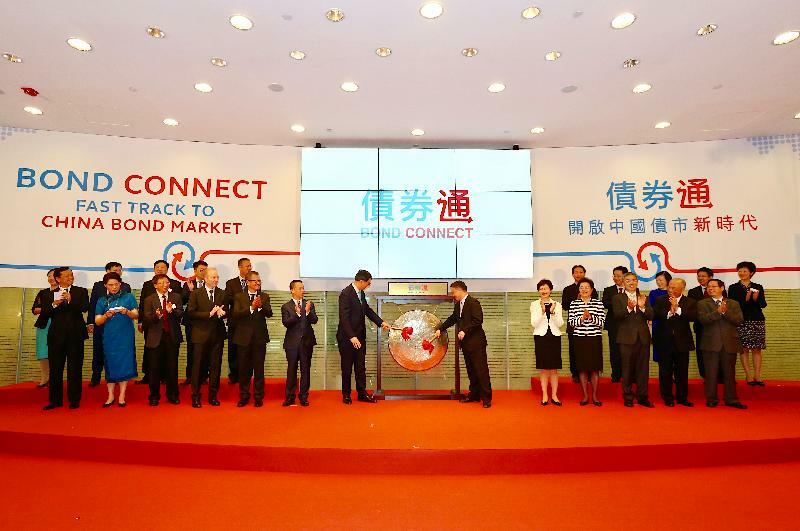 In fact, Shanghai-Hong Kong Stock Connect and Shenzhen-Hong Kong Stock Connect launched in 2014 and 2016 respectively, the Mainland-Hong Kong mutual recognition of funds arrangement launched in 2015 and Bond Connect to be launched today are all important milestones in the development of mutual capital market access between the Mainland and Hong Kong. These developments exemplify the combined advantages of "one country" and "two systems" enjoyed by the Hong Kong Special Administrative Region. We will closely monitor the operation of Bond Connect once it has started, and explore the southbound trading in due course. Finally, I wish Bond Connect every success. Thank you very much.